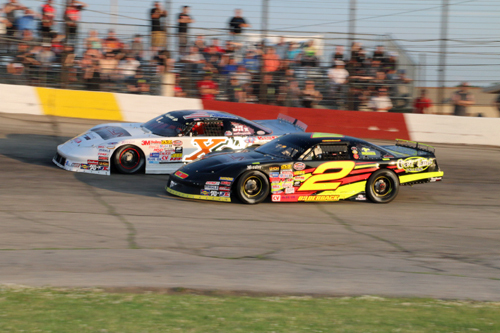 Michael Bilderback #2 South Beloit, IL battles with Jacob Gille #50, Winnebago, IL for position during the NASCAR Late Model feature #1. 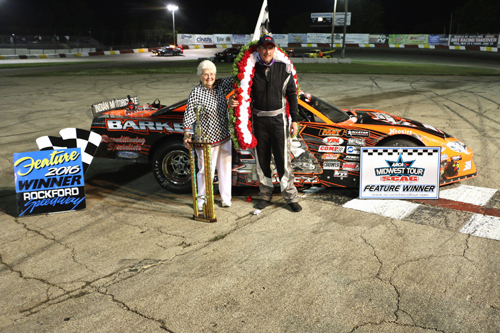 Jacob Gille #50 Winnebago, IL wins the first of two NASCAR Late Model feature events. 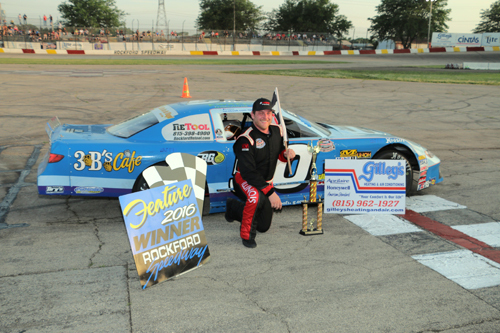 Gene Macrocco #98 Rockford, IL claims victory on the last lap of his NASCAR RoadRunner 20 lap feature. 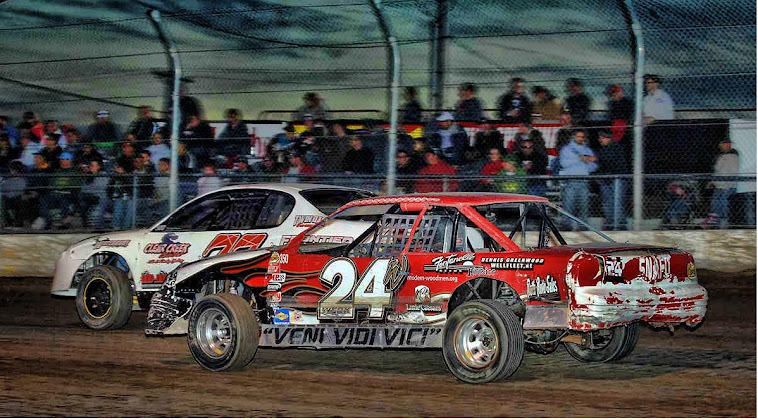 Gene is the oldest Rockford Speedway competitor at the age of 76. 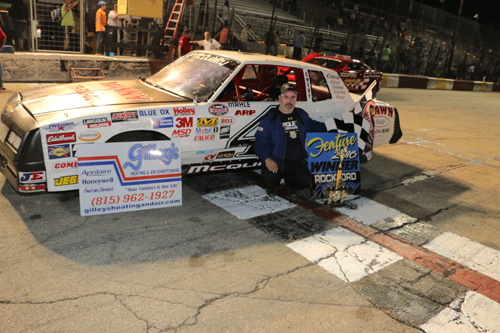 Jon Reynolds, Jr., Loves Park, IL over powers field by winning feature #2 for the NASCAR Late Models. 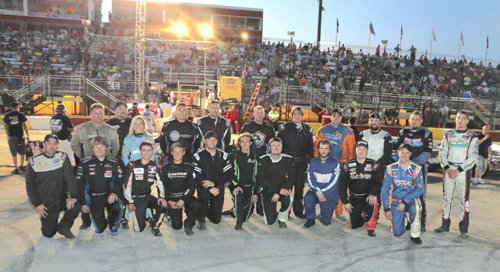 The All Star 100 field poses for a group photo prior to the start of their 100 lap main event of the night. 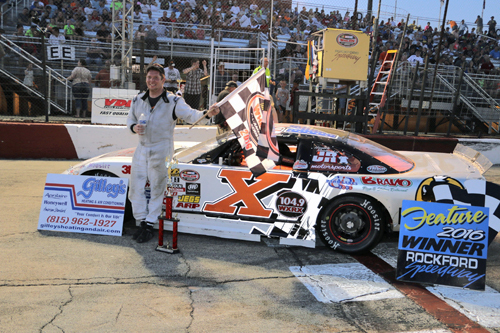 It was a long race for the #38 Jeff Holtz who took advantage from mishaps by others to bring home the win in the Kar Korner / ARCAMT 100-lap feature. 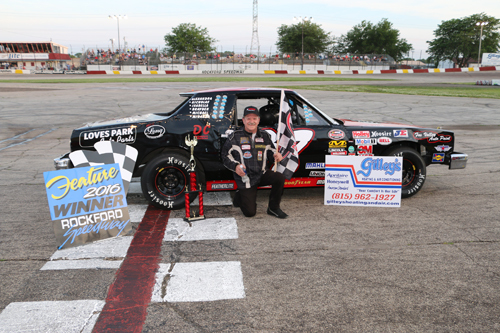 Chris McQuality, Rockford, IL is all smiles as he posted an impressive feature win for the NASCAR RoadRunners.